Jeanie Hall Clark writes to say that she has enjoyed her letter and the literature with Mrs. Whiting, who has been out autoing for four days). They send their love and promise that they will visit when they can. 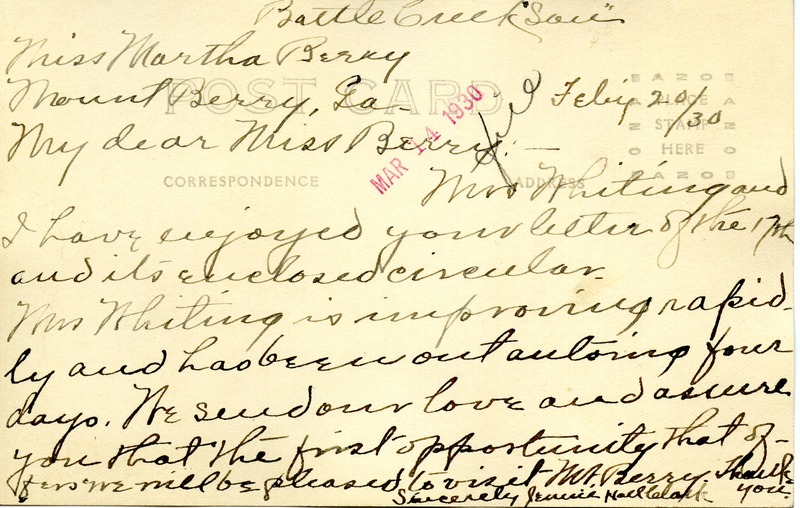 Jeanie Hall Clark, “Letter to Martha Berry from Jeanie Hall Clark.” Martha Berry Digital Archive. Eds. Schlitz, Stephanie A., Chelsea Risley, et al. 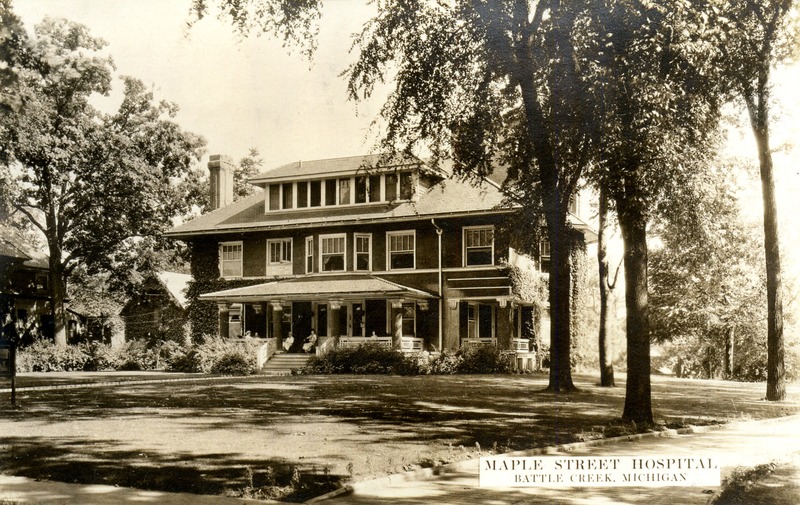 Mount Berry: Berry College, 2013. accessed April 21, 2019, https://mbda.berry.edu/items/show/12128.